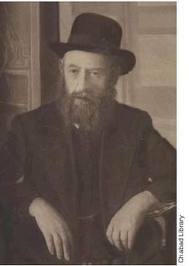 Freud and Rabbi Sholom Dovber the fifth Chabad Rebbe and perhaps one of the greatest Jewish mystics of all time, spoke to each for many long hours. Initially, Rabbi Sholom Dovber came to see Freud – in my interpretation, for this mystic, who literally saw from one of the world to the other, and more precisely time-wise (from the beginning to the end of history, as he predicted the future unerringly accurately,) went to see Freud, as the foundation for human psychology should be accurate. For those who study both realms, the overlap – particularly Freud’s overlap of principles of Jewish mysticism are too perfect than to be anything but understanding, and analyzing, and regurgitating the principles of Jewish mysticism as they apply to psychology. Dr Josef Berke www.jhberke.com has written a book Centers of Power: The Convergence of Psychoanalysis and Kaballah (go to his website to order) in which the details of this convergence are explained. But fundamentally, the story that I wish to share, is one in which perhaps both worldviews are almost succinctly described. In other words, all philosophies (and I heave read Plato, Aristotle, Freud, others, as well as practically all mystical philosophies,) agree, that the divide in man is between body and soul, mind and heart, but the question of course is, what can be done about it? 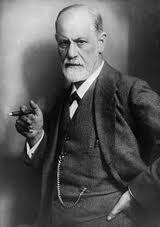 Freud came up with theories, statistically proven not to work; while Chassidus statistically has worked wonders! But what all theories agree, is that man, is divided between his desires and his opinions. You would think the two should be one!!! But as we all know, men whom are admired are precisely admired; for most other men lack the ability to become men who are admired. Universally, Nelson Mandela is not admired for being a terrorist – which he was – rather his ability to forgive and pave a peaceful future, as opposed to Mugabe who also was a terrorist and remained one in power as well. The power to have the mind, control the emotions; is of course, the millennia goal of all civilized men. All children are born like wild animals and give unrestricted vent to their emotions – it is only through discipline and identification with disciplined role-models that their behavior becomes both refined and disciplined. But deep in the shadows lurk the demons. No better method to understanding the truth of this, is, the anonymity offered by the internet; for it did not form human instincts, merely offered the venue for their outlet. Of course this is where Chassidus and psychology diverge, for in psychology you are the epicenter of your universe. If it feels good, do it! is the primary motto of the nations born out of Freud’s worldview, and it is precisely the opposite, If it is good do it! that Chassidus comes to inspire us to do. If your cell phone receives and channels your voice to the right destination so to, when you think and certainly speak to God he receives your call! Every generation has one Rebbe, which stands for Rosh Bnie Yisroel, the head of the Jewish people. Like a head, he is endowed with almost Divine talents to discern through the multitude of theories (even within Judaism) and to be able to discern the true Divine will, particularly as it relates to his time. For every generation has a unique mission! Of course in our generation, this is Rabbi Menachem Mendel Schneersohn, the Lubavitcher Rebbe. To discern the Rebbe’s directives, the best place is so go to, ichossid.com where they have culled mainly from the later talks, the Rebbe’s directives, based on the weekly Torah portion and festivals, and one very important book on education. Another very important notion is, what is the truth? – Something that even within Judaism, there are thousands of variations. In terms of spiritual service, the Rebbe believes we need to see ourselves as Divine beings, for that is whom we truly are, as our souls are literally part of God and our souls are the essence of who we are, and hence our entire mission in life (as the Rebbe often quoted from the Mishnah) to work for divine purposes – is far easier, for we see ourselves not in competition, rather in collaboration with the said purpose, for his and our purpose then merges. Last but not least, if the Rebbe stood for anything, it was Ahavas Yisroel, unity amongst Jews, and in fact the world over; and as such, the Rebbe always maintained seeking that which we share (for in what we share – what we have in common – we identify, and hence as each person loves themselves, they extend the said love to the other whom they identify with!) and the entire world shares in common the trait of being a creation of God – created to fulfill God’s purposes – and particularly within the Divine souls of the Jewish people – and as all Jews share the same soul root and as God is one, hence all Jews on a soul level – hence in reality, are actually one.